Ho Ho Ho. Mele Kalikimaka and Happy Holidays! Festivities and Real Estate are both in full swing this December in Hawaii. 37.4% of all Maui sales have been cash. If you are looking for that perfect house or that bargain so are many other people. It takes a Great Real Estate Team, and Patience to get across the finish line. We are seeing delays from lenders so we know up front to negotiate these obstacles if you plan on financing. If you are thinking of a cash purchase then there is a definite advantage. If you have equity in another property it may be advisable to do an equity line for purchase of cash here and then immediately get the financing after closing. Talk to your lender about these options. We wish you and your loved ones a wonderous holiday and blessings for the new year. Mortgage and lending expert, Bill Dallas, co-founder and CEO of cloudvirga, has some insights into the market outlook in 2017. “Trump’s campaign advocated the benefits of employees, he proposed to raise the federal minimum wage by $2.75 per hour. Improvement in wage growth along with a strong job market will give support to consumer spending, GDP is then expected to increase to 2.1 percent in 2017 and 2.0 percent in 2018, which in turn would cast an upward pressure on rates. I think this gives some perspective to the projected economic environment. For any of your lending needs please contact me. Brief Maui Statistics Overview:SPECIAL NOTE: Pages 1 & 2 – Current Month vs. Year Ago Month Numbers for Residential and Condo are somewhat skewed as November 2015 sales unit numbers were unusually low (lowest in all of 2015). This unusual quirk makes the comparison look greater than it really is. November 2016 numbers look in line with the rest of 2016. See Page 4 November 2015/2016 numbers (lower right corner) for better reference. Page 4 – November’s Sales Unit Volume – Residential and Condominium sales increased to 91 homes and 111 units sold respectively. Land sales decreased to 10 lots sold in November. Page 5 – November’s Median SALES prices –The Residential median price remained steady at $635,000 while the Condo median price declined to $380,000. Land median price decreased to $377,065. Pages 10 – 14 – This month’s “Year to Date Sales” numbers compare the first eleven months, January-November 2016 to January-November 2015. Shorter timeframe (monthly) views do not necessarily reflect the longer timeframe trends. YTD – Condo unit sales increased (1,187 units sold / +99 units sold/ +9% change YTD), average sold price = $619,026 (-3% change YTD), median price = $415,000 (+1%YTD). Total Condo dollar volume sold = $734,783,961 (+6% change YTD). YTD – Land – NOTE: Land Lot sales are such a small sampling that statistics in this property class are not necessarily reliable indicators. The number of Land lot sales remained steady (141 lots / +3 lots sold / +2 % YTD change), average sold price = $663,579 (-29%), median price = $469,500 (-4% change), Total dollar volume = $93,564,606 (-28% YTD). Total sales for immediate past 12 months: Residential = 1,072 (with 10% being REO or Short Sale), Condo = 1,289 (4.7% REO or SS), Land = 157 (2.6% REO or SS). NOTE: 37.4% of these Sales in the last 12 months have been CASH transactions. Lanai City Charmer. Tropical cool breezes from the many newer windows make this home light and bright. The main level boasts high ceiling in the spacious open living area & kitchen areas, two bedrooms and lower level offers spacious Master Bedroom with fully bath that was remodeled in 2011 along with another full bath. Master can also be additional family room or large home office. Outside entry also to the remodeled area. Carport attached to the home for extra storage and 2 car tandem parking. Add door to convert to garage. 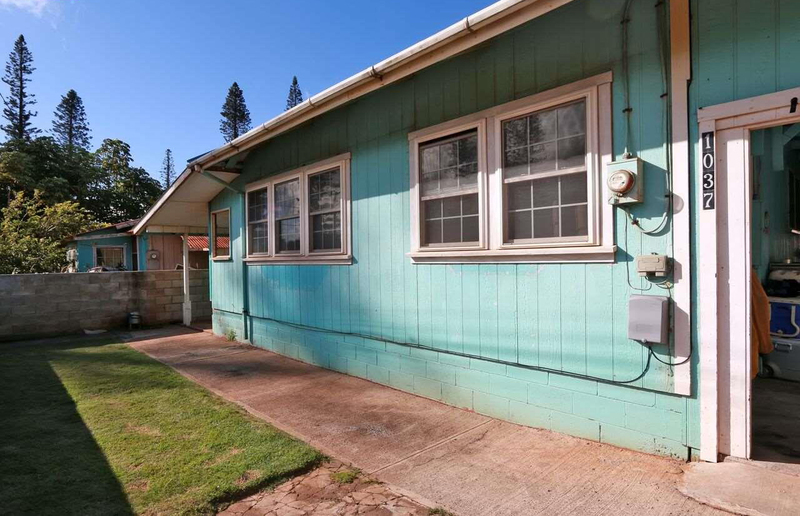 Perfect Lanai home with low maintenance CMU fenced yard. Yard has papaya tree, small grassy area in front and patio space out back that is great for outdoor entertainment. Centrally located to the shops and restaurants, Dole Park just a few blocks away. Stunning! Unique!! One of a kind remodeled 2 bed/2 bath corner-end unit in prestigious South Maui in a secluded small boutique complex. 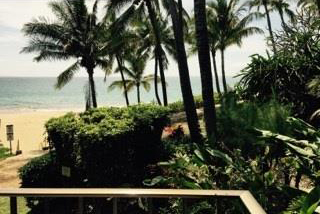 Located on one of the most pristine beaches in all of Maui….Charlie Young Beach!! Kamaole One has only 12 units and rarely ever come on the market. Take advantage right now of owning one of Maui’s premier properties!! This unit has been upgraded to New York standards: Top of the line Jennair appliances throughout in a copper finish, designer bathroom fixtures and faucets, designer flooring and quality designer furnishings. It has two split system A/C units, new full size washer and dryer, and a LOFT!!! which can be used as an office, art studio, or simply extra storage. Vaulted ceilings with extra windows provide those amazing ocean views and sunsets! Click on Link Here for exciting upcoming activities and events on Maui. is more than just paradise, it is Golfer’s Heaven.